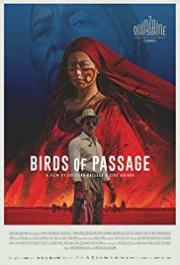 On a surface level, the gangster story arc is pretty standard fare for the genre, but when told through the eyes of an indigenous people who have spent generations resisting colonialism only to have to now deal with the chaos and violence of gang warfare, the film treads into territory I don't think I've seen any other film go. While not without its flaws, it's engaging on both an emotional and intellectual level and left me mulling over its themes days after leaving the cinema. Surprisingly simplistic in structure, lacks the sophistication of Embrace of the Serpent, the poor acting also doesn't help. Carefully made, haunting, perfectly directed and ably acted. This is a crime drama for the ages.